Mitsuoka is a famous (infamous?) Japanese custom car builder known for its absurd, and occasionally out-of-this-world vehicles. Its most iconic vehicle was the mid-engine Orochi, but its bread and butter are normal Japanese cars given front and rear styling from the past, usually sometime between the 1930s and 1950s. One of the more recent examples is the Mitsuoka Himiko, a Mazda Miata given a classic European roadster look. But the company has ventured a little further ahead in history with its latest model, the Mitsuoka Rock Star, which quite clearly is meant to be a C2 Chevy Corvette Sting Ray. The effect is actually pretty convincing, and as far as Mitusokas go, it looks smartly proportioned and a good fit for the base car. That base car is the current Mazda Miata, known as Roadster in Japan. It probably helps that the base Miata was designed with exaggerated fenders and creases from the get-go, so the even more exaggerated lines of the Corvette fit surprisingly well. Outside of the body, the car is pretty much identical to a regular Miata. It uses the same naturally aspirated 1.5-liter four-cylinder as all overseas examples. That means it makes just 129 horsepower and 111 pound-feet of torque, so this doesn't even come close to the fire-breathing power of real C2 Corvettes. Of course, that could be rectified with an LS V8 swap from Flyin' Miata. The engine is coupled to either a six-speed manual transmission or an automatic. The manual can also be had with a limited-slip differential. There are a number of available upgrades including custom colors for the body and the windshield surround. You can also add a custom leather interior with body-color coordinated panels. Mitsuoka will even provide retro-style wheels with white-letter BF Goodrich tires for the complete look. If you live in Japan and find this vehicle appealing, you'd better be ready to shell out plenty of cash. At current exchange rates, the base Rock Star starts at $41,636. The price goes up from there with options. In contrast, a base Mazda Miata here in the U.S. starts at $26,625, a little more than half that of the Mitsuoka. 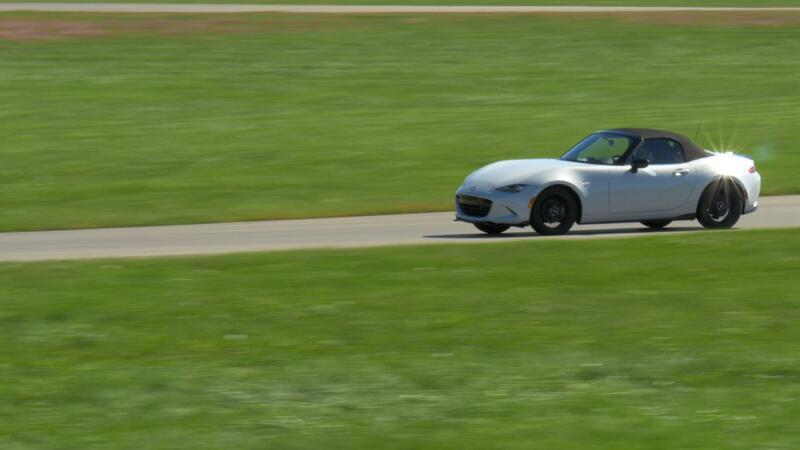 And of course, the U.S.-spec Miata is substantially more powerful. If you want the Mitsuoka, you'll also have to get in touch with the company quickly. There will only be 50 examples, and you have to apply for one.